Digital content marketing is becoming more important for food manufacturers of all sizes every day, but staying active across all digital and social channels is often unrealistic, and it can be hard to know which channels you should be investing time and effort into. Your content needs to be relevant, and appeal to your customers’ needs. The content you share with your stockists and retailers should be different to the content you share with your customers. By identifying your target audiences and understanding their motivations, interests and behaviours, you can craft winning content that gets their attention. What do you want to achieve with your content program? Is it to drive traffic to your website which hopefully can convert to sales or enquiries? Boosting your digital footprint through SEO? Building rapport and a relationship with your customers to keep your brand top of mind? By having a clear understanding of what you want to achieve, you can build your content accordingly and, importantly, measure the success of your efforts. People spend 135 minutes per day on social media. It can be a powerful platform to reach and engage with both stockists and customers, and attract new ones. As such, ensuring that your content is also shared across social channels is important. When choosing which social channels are right for your business, you need to, once again, understand your target audience. If you want to communicate with your stockists and retailers, LinkedIn – the social platform for professionals – may be more appropriate. For customers, Instagram or Facebook. To build an effective content program you need frequency and consistency. If you do not have the capacity to write and publish articles on a regular basis, consider engaging a freelance writer to assist you or narrow your focus from having a presence on all social networks to just one or two that are more relevant to your customers. Thankfully you don’t need to be a tech expert to build an email marketing campaign or ensure that your social channels and website are refreshed with fresh content. Technology providers like GoDaddy have a range of tools that make it quick and easy to run your business online, from building a professional website to house your content, to creating engaging Electronic Document Management systems (EDMs) such as Mailchimp or ConstantContact, and ensuring the seamless integration with your social media channels. Digital content is increasing by the day, and showing no signs of slowing down. In fact, Facebook alone processes 2.5 billion pieces of content every single day. To make sure your content stands out from that of competitors, make sure it’s easy to consume and directly relevant to your target audience. Be sure to offer practical information in the best interest of your stockists and consumers, that isn’t overtly sales-y. 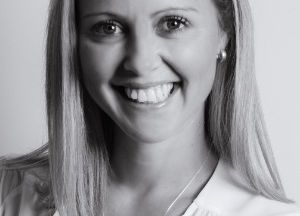 Tracy Hall is the Marketing Director of GoDaddy Australia and New Zealand. GoDaddy is the world’s largest technology provider dedicated to small businesses. For simple tech solutions to make your life as a business owner easier, visit au.godaddy.com.